The one thing that’s hard to do is set aside time to read. And I have to admit, Moral Armor is a bit of a bear. It’s a long book, which is why I went through consolidation works such as A Bridge Between Us All and Sovereignty, seeking to bring these breakthroughs to mankind in more concise ways. But the most thorough document remains Moral Armor, and we just happen to have the perfect medium available to disseminate it by topic: Youtube. I’ll have them set up in a playlist so you don’t have to hunt for the next segment. Given the censorship developments at Google (who owns Youtube), I’m uploading Moral Armor to the video site Daily Motion as well. This process will take some time. Right now, I calculate three months to completion. It will be approximately 24 hours of video, in segments from 5 to 15 minutes; not a small task. This in part is an exercise to get me used to shooting videos, which I plan to expand to a myriad of topics–many controversial–such as those discussed in The Care and Feeding of Freedom. 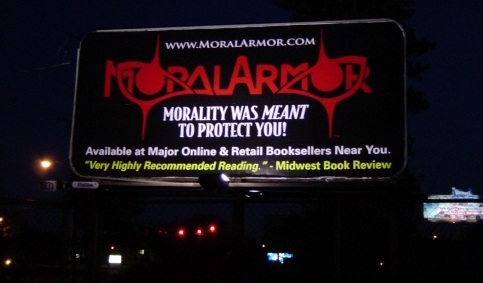 Here is the first video, an intro to Moral Armor.